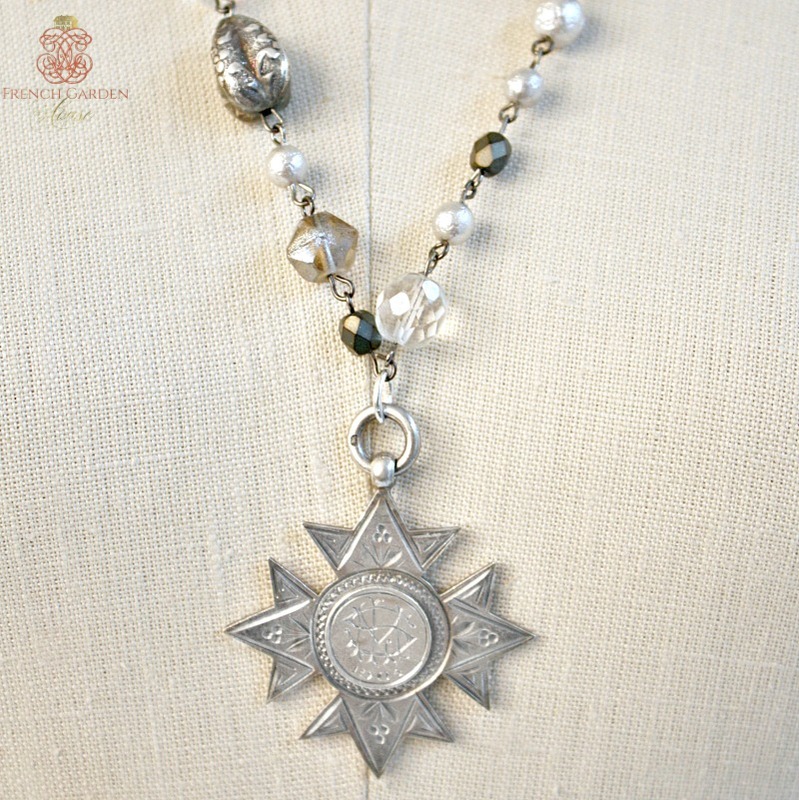 Exquisite Antique Sterling Silver Award Fob Necklace with a stunning monogram SML engraved on the front. 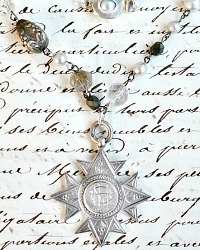 This heirloom quality sterling fob has a rare to find shape, and beautiful hand engraved floral design on a cross shape. 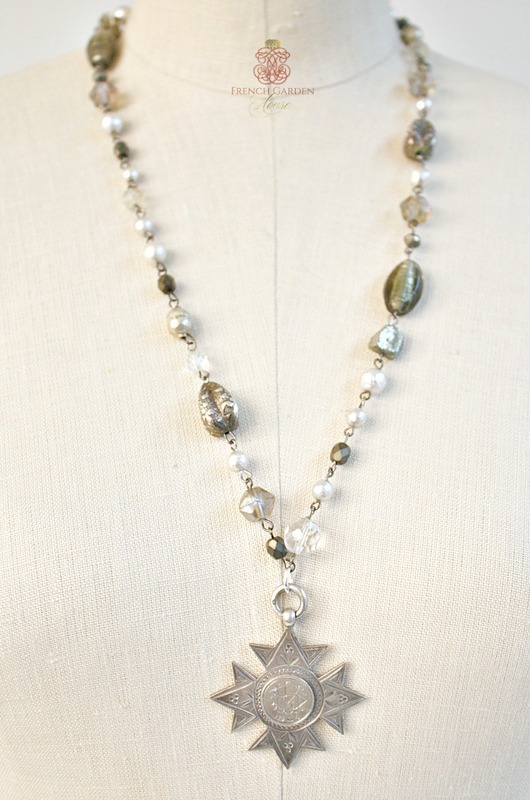 Created in the 1800's, fully hallmarked on the back with the maker's marks of H.P. and the lion passant. 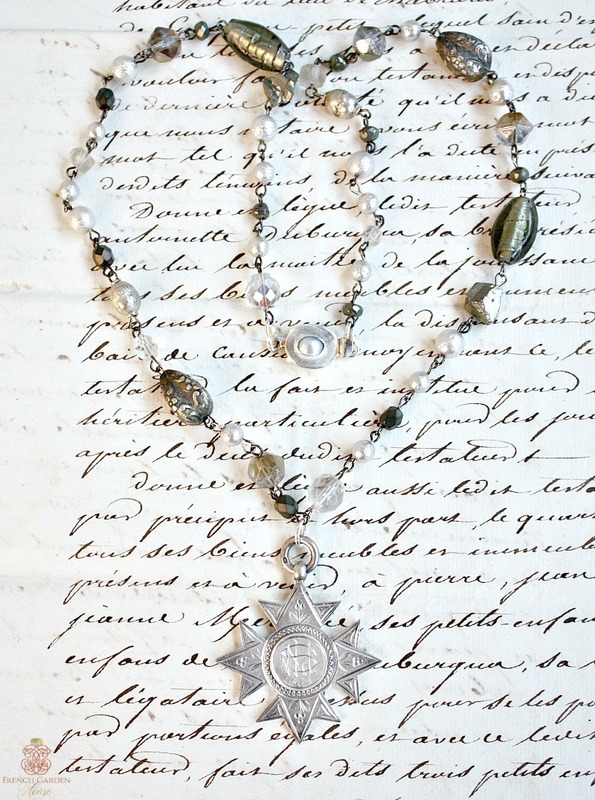 The fob hangs from a hand made chain with silver ice pearls, lamp work beads, prayer beads, Czech saphirrettes and lucite beads. Sterling silver clasp with an inset fresh water pearl closes this timeless and classic addition to your wardrobe and jewelry collection. Measures: 35"; fob: 1-7/8" x 1-3/4".